After purchasing an AED, the device will require regular maintenance and monitoring to ensure it is working when needed in an emergency. 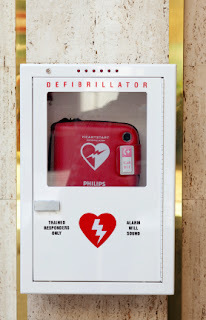 By setting up a plan to monitor automatic external defibrillators, companies and organizations can know that the equipment will always be ready. There are several important factors that need to be monitored in an effective AED program. To keep on top of maintenance of an AED the following steps should take place regularly. To make sure these steps are taken, someone should be given the responsibility to both complete the tasks and also record them to know when equipment has been checked and new replacement parts ordered. To make monitoring your AED program effective, Heart Smart is pleased to announce HeartSmartPro. With this new product, free for 1 year after any purchase of an AED from Heart Smart, you will be confident your AED will be ready to use when it is need most. HeartSmartPro is a service that provides all the monitoring and maintenance required to keep an AED maintained and ensure a complete AED program is effective. It includes a web-based user login interface to make it simple for anyone to log in. Within the system administrators can set up a hierarchy of users from program managers to site coordinators to make sure anyone who needs to be involved is given the access they need. HeartSmart Pro sends monthly e-minders of all the necessary steps of an AED program. Beyond the reminders to keep your AED program efficient and maintained, it keeps track of what has been done by logging and recording monthly checks on AED equipment and incident reports. You can also easily order replacement pads and batteries for your Automatic External Defibrillator while receiving a member’s only discount. With this new service from Heart Smart Technologies, maintaining an AED program is easy and effective.